South Carolina workers' compensation rates continue to increase in 2019. Workers Comp Rates in South Carolina are a little higher than the national average. Eight percent higher than the average, as of 2018. Smart business owners are well advices to take advantage of all of the programs and discounts available to your business. Because we are a nationwide agency we work with more than 35 insurance carriers. This broad network of carriers allows us to quote many difficult class codes. It also allows us to shop many different carriers to find your business complete coverage at rock bottom rates. At Workers Compensation Shop.com our specialists know the ins and outs of workers compensation insurance. Our Specialists are ready to help you find the best solution for your business. Call one of our agents today at 888-611-7467, or start a quote online now. The workers' compensation rates listed for South Carolina represent the lowest and highest insurance rates effective 9/1/18. South Carolina rates are regulated by the South Carolina Workers' Compensation Commission. Insurance companies are allowed to offer discounts and policy credits up to 25% on workers comp coverage. 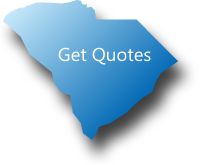 We offer Pay As You Go insurance in South Carolina. Not all employers will qualify for the lowest rates available or maximum policy credits. We shop rates with more carriers so our customers get the best price on their coverage. South Carolina workers comp rates vary by NCCI industry classification codes and insurance company underwriting standards. Employers' who have an Experience Modification Rating assigned to their business may have additional credits or debits applied to their insurance rates based on prior premiums and workers compensation loss experience. There is not a State Fund in South Carolina. Assigned risk polices are administered with various insurance carriers via NCCI. Mutli-state coverage availabe coast-to-coast. The South Carolina Workers Comp Market is fairly competitive and pricing can vary dramatically between insurance companies. Employer who are unable to buy workmans comp on the open market will be eligible for state fund coverage. NCCI is the administrator for the for the state fund in South Carolina. NCCI gathers data, analyzes industry trends and prepares objective insurance rate and loss cost recommendations. South Carolina does not have a state fund nor does it partner with someone to provide an assigned risk to compete with the open market. States that do not have an assigned risk tend to have a little bit higher rates compared with states that do. South Carolina is under the Jurisdiction of the National Council for Compensation Insurance (NCCI) and contracts with Travelers as the state fund carrier. 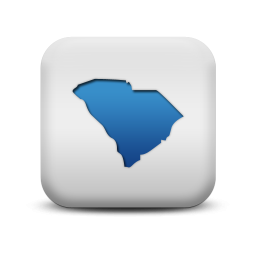 Our agency can help employers find guaranteed state fund coverage in SC. If we can't find coverage with a private insurance provider we can help buy a state fund policy. We will shop your policy with our SC carriers. Whether you're buying Workers Comp Insurance for the first time or are a seasoned business owner, finding the best rate can be confusing. Especially when you're not armed with the good information to help you make the best purchasing decision. At Workers Compensation Shop, our goal is to take the hassle out of the insurance buying process. We aim to educate business owners about workers comp and help them get the best coverage at rock bottom rates. Call us today for a no strings attached consultation 888-611-7467.